While it doesn’t tend to get the same buzz as channels such as social media, email quietly delivers extraordinarily impressive results for marketers year after year. Email marketing has been steadily effective for so long that an important fact about it is often overlooked: it’s still evolving. Finally, that’s starting to change. Brands have begun to realize that effective campaigns are as much about the visuals as the words, and they are starting to focus on design elements such as icons, illustrations, and button colors. Expect to see even more of this in the year ahead as marketers witness increased engagement from their design efforts. What’s behind the increased focus on design? In part, the same thing that’s driving many of the current changes in email marketing: the shift from desktop/laptop computers to mobile devices. In addition to the rise of mobile, there’s another broad digital trend that is impacting email marketing: the rise of video. For a while email personalization was mainly superficial; marketers would “individualize” messages by simply including something like the recipients name. This approach already yields impressive results — 82% of marketers report increased open rates with rich email personalization — and is set to become even more effective in the year ahead as tools become more sophisticated. That’s just the tip of the iceberg. AI is evolving rapidly and there should be many more real-world applications coming for email marketers in the year ahead. Here’s a simple fact that marketers often forget: emails can be interactive. 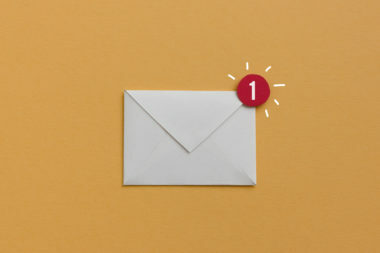 There are also other more simple tactics marketers can utilize to enable audiences to engage with messages, such as including a ‘reply to us’ option for recipients. At minimum, brands should consider experimenting with this sort of basic interactivity to boost engagement in 2019. In other words, consumers’ inboxes are flooded with messages. There’s also another way to stand out: by having a unique voice. That may sound like a little thing, but it’s hugely important. Developing a distinct tone gives marketers a big advantage when it comes to email; it makes messages different and instantly recognizable to audiences. Of course, the need for a unique voice is nothing new — it’s been important since the advent of marketing. That highlights yet another thing that makes email amazing: it’s the perfect blend of old-school and new-school. Ultimately, it is the best of both worlds. It is a channel that remains very familiar to brands while also integrating the latest digital advances. 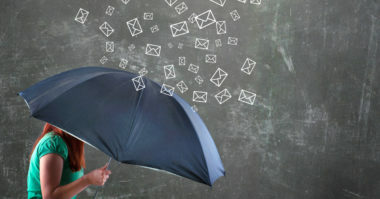 Learn more about the latest trends in email marketing. Contact MDG Advertising today at 561-338-7797 or visit mdgadvertising.com.